Fig. 1. Schematic representation of the role of senescent cells in tumors. 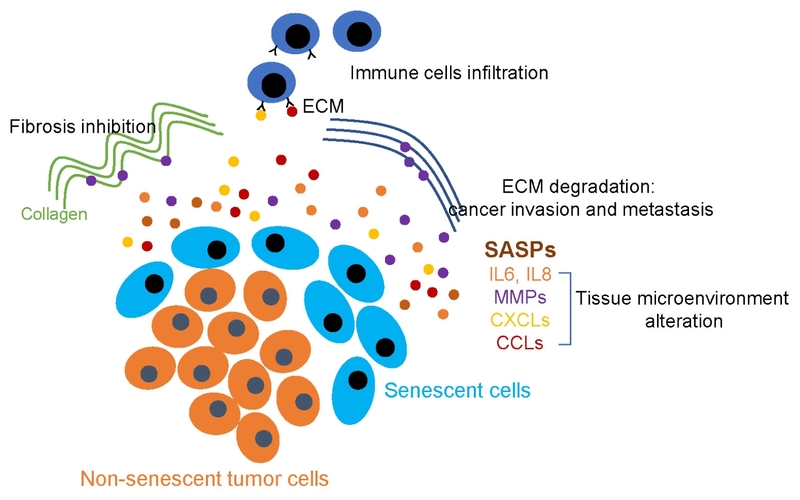 Senescent cells express SASP and are involved in interactions with the tissue microenvironment, including extracellular matrix (ECM) degradation, immune cells infiltration, and cancer invasion.